Marking Ouachita Baptist University’s second largest fall enrollment in more than a decade, Ouachita faculty and staff welcomed a total of 1,543 students to classes this fall. The 2013 fall semester total, which is a slight increase over last fall’s total, marks the fourth consecutive year the university’s fall enrollment has exceeded 1,500 students. 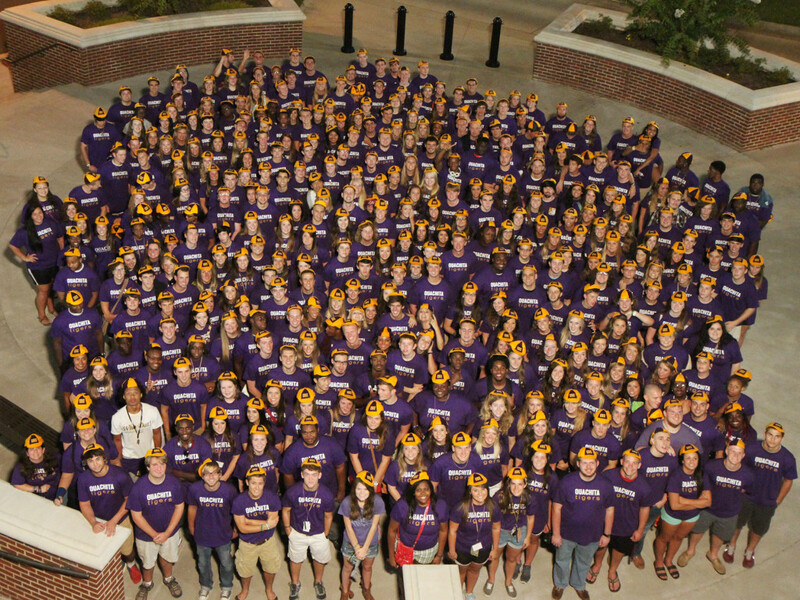 Additionally, this fall’s incoming freshman class topped 390, an increase of more than 9 percent over the previous year. As students began fall classes, the university community gathered in Jones Performing Arts Center for Ouachita’s annual Convocation Chapel. Citing the death of longtime history professor Tom Auffenberg a few days earlier, Dr. Horne said, “Beside me is a chair with the academic regalia of Dr. Tom Auffenberg. Tom came to Ouachita 40 years ago, not much older than you are today. Ouachita Baptist University, a leading liberal arts university, is ranked nationally among America’s top colleges by U.S. News & World Report and Forbes magazines. Founded in Arkadelphia in 1886, Ouachita seeks to foster a love of God and a love of learning in a Christ-centered learning community.